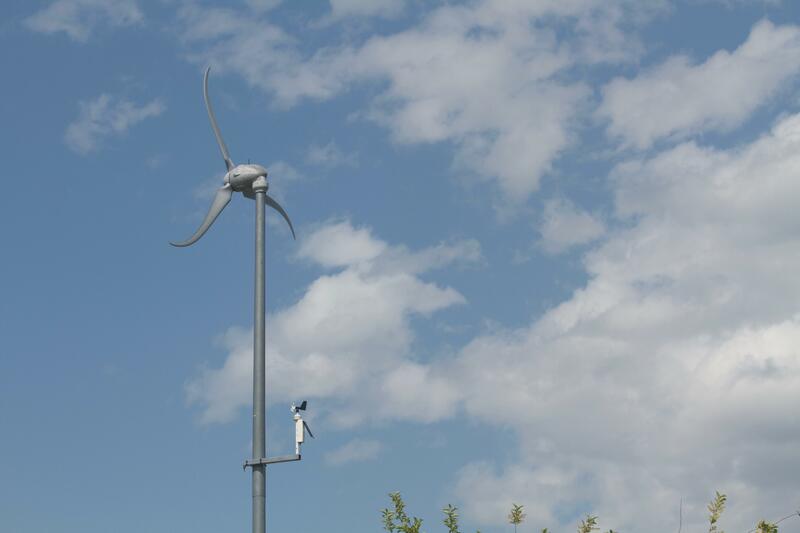 Installed in the fall of 2008, this Skystream 3.7 wind turbine is installed Faculty Court, and provides an on-campus example for use in education and outreach efforts. 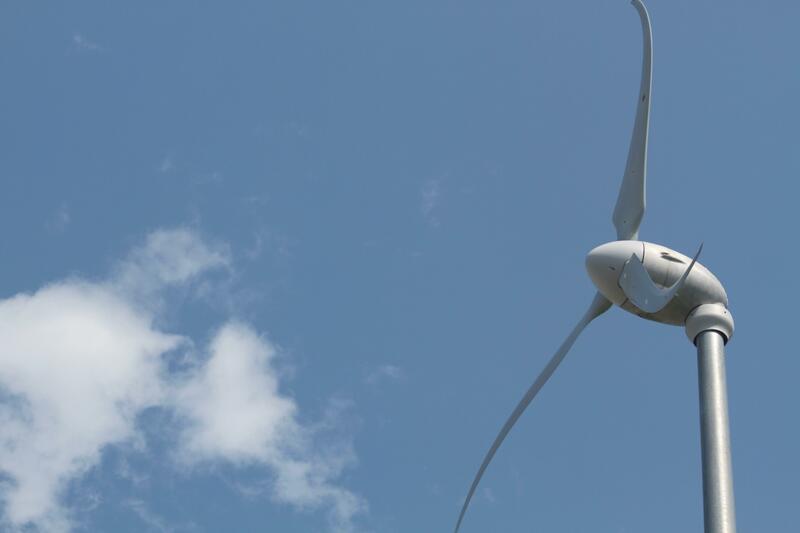 This turbine is designed to be a grid-connected system, and provides a portion of required electricity one of MSU's research facilities through a Northwestern Energy - supplied net meter. The Skystream is rated at 2.4 kW, which is the maximum expected output in relatively stiff winds. MSU rarely sees continuous wind of that magnitude meaning that the turbine delivers less than 2.4 kW most of the time... perfect as an educational tool: Combined with the active weather report from the weather station, the live data of the turbine can output efficiency and theoretical power. The Skystream 3.7 is manufactured by Southwest Windpower and has an internal communications package capable of measuring and tracking many parameters of its operation. Follow the links below to see the live feed. The turbine is located on campus' southeast corner, two blocks from the main Engineering Campus, at the end of South 5th Street. 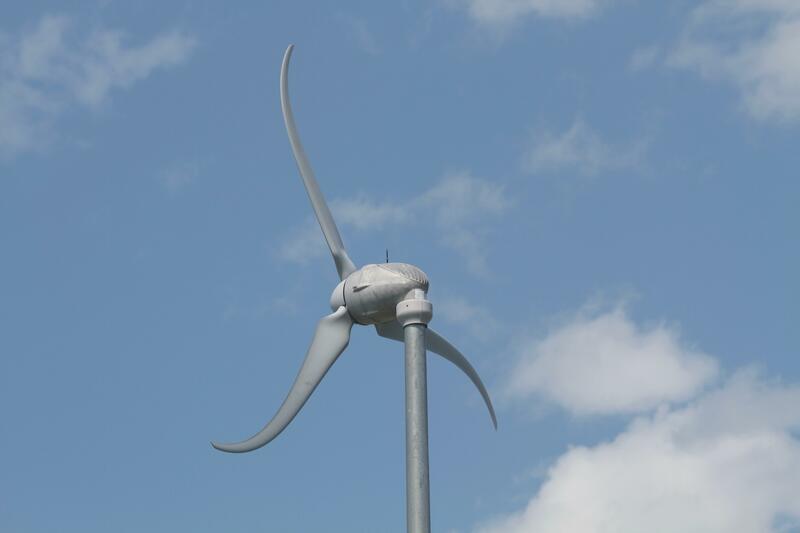 The Wind Applications Center office is located adjacent to the turbine at #22 Faculty Court.